Premium quality is achieved by using appropriate thick cardboard, a special Non-Reflective layer, and puzzle pieces perfect fitting. The origins of Educa Borras date back to 1894, when Borras plana s.A. Was founded. 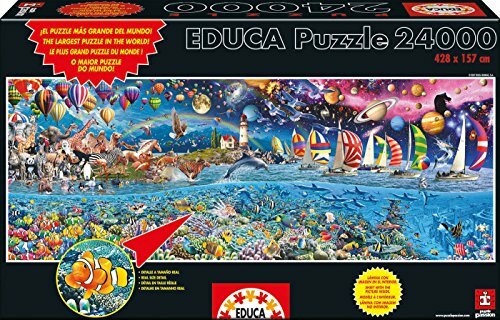 Educa is a leading brand, setting the standard in educational games and puzzles. Borras, famous for its highly acclaimed magic-based games, also sets the benchmark in the entertainment and family games fields. Today, our products are distributed in more than 75 countries around the world.